For this Truck Health Insurance Exchange Review, we will mainly be discussing the parent company of Truck Insurance Exchange, which is Farmers Insurance. 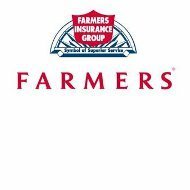 Farmers Insurance Company is one of the leaders in casualty and property insurance and it allows Truck Insurance Exchange to offer a wide variety of products and services. Unfortunately, health insurance is not one of the insurance products available through them. To look for health insurance for you and your family right now, just fill in your zip code to be able to compare health insurance rates. To find an agent, call toll free at 1-800-327-6377, or 1-800-FARMERS. To get help with claims questions or assistance, call toll free at 1-800-435-7764. Figuring out what you need in regards to insurance can be confusing and it changes throughout your life. Through Farmers Insurance, Truck Insurance Exchange is able to offer planning tips and advice for all of your insurance needs throughout the changes in your life. Changes or circumstances in your life will result in you needing more or less insurance products, as well as different levels of coverage. Types of changes include buying a home, starting a family, a teenager starting college, changing jobs, or planning your retirement. Farmers Insurance has resources that can help make planning for the future easier. Another source to help you with planning is http://www.smartmoney.com. If you are looking for life insurance, Truck Insurance Exchange and Farmers can help you out. They offer a number of life insurance policies, including whole life, term life, and universal life. There are also annuities available if you are looking for a way to receive income payments in your retirement years. Owning a business can be very rewarding. It can also be very stressful and it is accompanied by a number of risks. The business insurance policies that are offered by Farmers Insurance help you with risk management so that you can focus on your business and its success for the long run. An agent can help you analyze your business to determine where you are most vulnerable to risk and set up a customized solution insurance-wise. Farmers also offers options for employee benefits and retirement. Along with protecting your personal and business assets, Farmers Insurance can help you build assets as well, through their financial products. An agent can help you figure out what the best strategy is to help you financially and to meet your objectives and needs. If you are a business owner, you can offer retirement plans for your employees or yourself. You can search for and compare health insurance rates now just by filling in your zip code.